Xiaomi is really turning into one of the leading smartphone manufacturing companies across the globe. After the successful launch of Xiaomi Redmi Note and Xiaomi Mi3 smartphone, Xiaomi has not stopped and is day by day improving a lot in its creations. The proof of the improvement is the launch of all new Xiaomi Mi4 smartphone. This smartphone is packed with great features and hence makes it a must buy product for the Xiaomi fans over the globe. Not only this smartphone is eligible for such praises but also its accessories are worth that because without those accessories, this smartphone is just an ordinary one with limited functions. 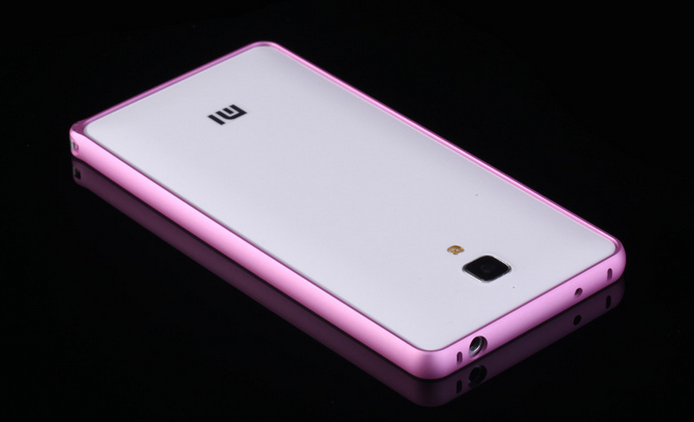 So, adding the accessories adds up the functions of the smartphones and same is the case with Xiaomi Mi4 smartphone. In this article I am going to mention the top 5 accessories available for Xiaomi Mi4 smartphone across the globe which really add beauty to this amazing creation of Xiaomi. Here we go! 1)	Mi band is a very light weight accessory and is homologous to the gear as in the Galaxy Note 3 and Note 4 from Samsung. 2) It keeps the track of your day to day activities and actives the alarm at the prescribed time to make sure that you do not forget any of your daily chores. 3)	Mi band also alarms when your phone is on silent mode and you receive any notification or call or any kind of message. 4)	It contains a Bluetooth chip to keep it connected with your smartphone and also an accelerometer to track the distance you cover, your current speed, the relative time you will take to reach any targeted destination and many other such activities. 5)	One of the main features of this smartphone gadget is that the battery lasts for about 30 days on a single full recharge which is almost twice that of a simple alarm clock. 6)	You can unlock your smartphone by just tapping on the Mi band when the both are in mutual connection via Bluetooth. By going through all these features, one really feels that this is a must have accessory for Xiaomi Mi4 smartphone. You can get the Mi band for just $20 on the official shopping website of Xiaomi. 1)	It is very light, small and easy to handle than a wired headphone. 2)	It protects the audio jack from dirt, dust and moisture and hence prevents it from any kind of damage. 3)	It is unnoticeable even when you put in the audio jack because of its edge symmetry and smooth cuttings. 4)	It is fully metallic and hence proves a strong buddy for your smartphone. 5)	It comes in almost every color to give the users full choice to choose the best matching color for their smartphones. Xiaomi Mi key 3.5mm quick button is available on the official website of Xiaomi for just $5. So, go for it and take your smartphone to a new level. 1)	This accessory was specially launched for the Xiaomi Mi4 smartphone but can be used for any smartphone having a metallic or a very smooth body. 2)	It is made up of silicone (fine rubber) and hence is very long lasting and light weighted. 3)	It comes in different attractive colors to provide the users enough choice to choose one according to the color of their smartphone or any other gadget. 4)	You can keep the smartphone on a leveled surface at any comfortable angle by using this mini sucking stand. 5)	They are very less in size as compared to the Xiaomi Mi4 smartphone and hence you can attach more than one sucker to it to get a better grip and to make the stand more powerful. Mini Compact Silicone Sucking Movie Stand is really a great accessory from Xiaomi for Mi4 smartphone and is the cheapest among all other accessories i.e. you can buy it for just $2 per piece. 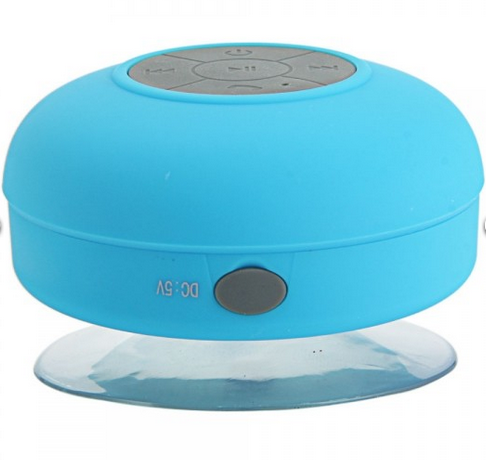 Mini Waterproof Wireless Bluetooth Speaker: Another ultimate gadget from Xiaomi especially for the Mi4 smartphone is the wireless waterproof Bluetooth speaker. As we all know that the smartphones do not produce the sounds we want in some occasions like on a noisy function, car, washroom and many such places. I can say that now it is possible to produce an effective sound from the Xiaomi Mi4 smartphone by using the Mini Waterproof Wireless Bluetooth Speaker from Xiaomi. This is really an amazing gadget and I can say that this is a must have accessory for this smartphone because of its low sound frequency. Let us go through some of the main features and specification of this accessory. 1)	It is waterproof and hence works very well even in the damp conditions like in the washroom while taking a bath, you can keep the smartphone outside and this device inside to listen to your favorite music with quality sound and without any wired connection. 2)	It supports connectivity via Bluetooth v3.0. 3)	It comes with a sucker at the back so that we can attach the device to any smooth surface like the wall, car dashboard etc. 4)	The range of the Bluetooth connectivity is about 10 meter which is pretty good for personal use in the above said places. 5)	It's charging time is 3 hours and the playback time is 6 hours when continuously used. So, the features also reveal that this is an amazing device to be added as an accessory to your Mi4 smartphone. This mini waterproof Bluetooth is priced at just $9 online on the official shopping website of Xiaomi. 1)	It is made up of pure aluminum metal to protect your smartphone for many minor blows. 2)	It doesn't create any chance of moisture as in case of many rubber or leather cases and covers and hence keeps your smartphone healthy. 3)	It is easy to remove and while removing there is no chance of your smartphone getting scratched. 4)	There are smooth cuts made at the places of ports and keys to give you full access to those buttons or ports. 5)	This metallic case comes in many colors to fit your smartphone's color whether black, white, silver, blue, pink, violet, green or yellow. Metal Frame Case Bumper for Xiaomi Mi4 smartphone is available for just $10 and is really going to protect your smartphone to a huge extent except any direct major blow to the screen or back especially the camera. These were the top 5 must have accessories for Xiaomi Mi4 smartphone. According to me, all the five when made available to this smartphone will make it a complete set with no other function required and hence will make your smartphone an All-in-One package. The prices of the accessories are according to the official website of Xiaomi (details in the note below) and may vary when you opt for the Indian shopping websites like Flipkart, SnapDeal, and Amazon etc. Note: The above mentioned gadgets are available to be ordered on http://www.xiaomishop.com at the above mentioned prices. You can also search them in the other shopping websites and get the results with varying price. So, it is up to you to select the website which is providing these accessories at best prices. Exclusive information, I must say. Hats off to Xiaomi for launching some innovative accessories. This shows that they are thinking out of the box. Surely, others will soon follow same suit, but Xiaomi will always remain pioneers in providing such nice accessories.